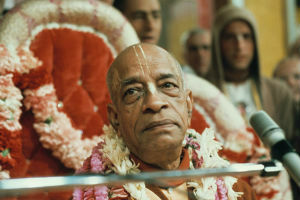 Question to Radhanath Swami: Speaking of Gurus, yours was Srila Prabhupada, who started the Hare Krishna Movement. What characteristics did you find in him when you met him that led you to be a disciple of his, after having met many holy people on your journey? 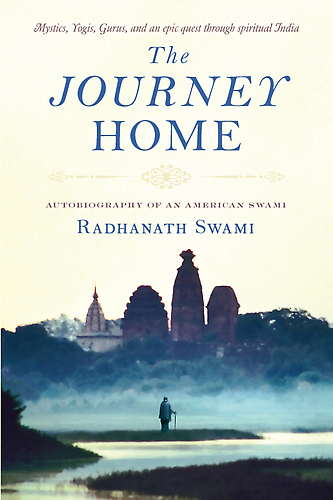 Radhanath Swami Answers: I did meet many people who really inspired me, but I kept searching. Question to Radhanath Swami: How should we deal with people who clearly are out to cheat the world, clearly are more towards evil than good? What should be our attitude towards them? Answer by Radhanath Swami: To a certain extent we have the power to change our environment. But ultimately it’s very limited; we may not be able to change the whole world or how people think or how people act or why people do what they do. Of course we can try our best to help, but there is one thing that we could always change and that’s ourselves. 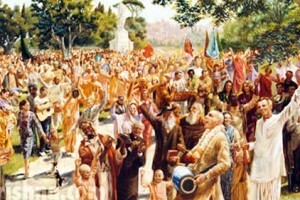 Question to Radhanath Swami: Religion has the power to divide. 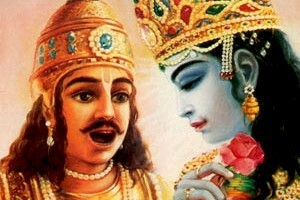 The riots in Mumbai, Gujarat and Ayodhya are created by religion. Do you see a divide? Question to Radhanath Swami: How is it that loving God enables us to spontaneously love every living being? Radhanath Swami: The Gita tells that this is because every living being is a part of God, just as every ray emanating from the sun is part of the sun. 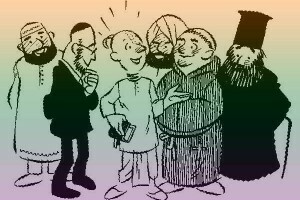 When we discover the love of God that is within our own hearts, we see an inseparable part of God in the heart of every living being—male or female; black ,white, red, yellow or brown; Hindu, Muslim, Christian, Jew , Parsee, Jain, or Sikh; Pakistani, Indian, Israeli, or Palestinian. Exploitation in Business — Do we have to bear the reaction? Question to Radhanath Swami: Even when we are doing business, we are exploiting others in one sense. So by the laws of karma, are we going to get reactions for all that? Radhanath Swami: In this world, exploitation is inevitable. Just to survive, people are exploiting each other. But we should try, as far as possible, not to do that beyond what’s necessary. 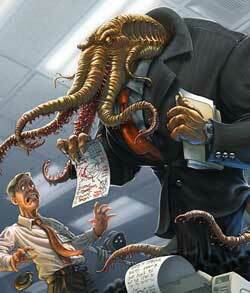 In business our motivation should not be to destroy others. 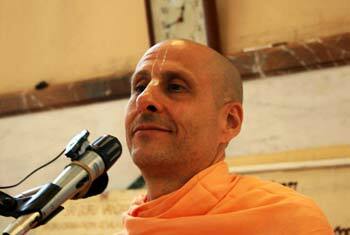 Ignorance isn’t bliss… Radhanath Swami tells why..?